We once had a man who went by Buck here at camp. A Native American and a long-time friend of my grandfather’s, he introduced some of those traditions and cultural practices to camp. Now, that was all before my time, but Grandpa would always say that Buck never had anything bad to say about a person. Can you imagine it? Over time, this quality has made Buck a nearly mythical figure at camp. As a social scientist, I would describe this quality of Buck’s in a different way: he was a man who could avoid making the fundamental attribution error. The fundamental attribution error is when we explain other people’s behavior with judgments about their character, while we don’t do that with our own behavior. This looks something like “John got in a fight because he’s just a bad kid,” versus “I got in a fight because I’m tired and a lot of people were picking on me”. Simply put: it is a good example of how we humans tend to assume the worst about other people and their intentions, while assuming the best of ourselves and our own intentions. This is such a common occurrence that social psychologists consider it a part of our nature as humans. I mention it here because it is related to the themes of the 4th and 5th weeks at camp: trust and sportsmanship. 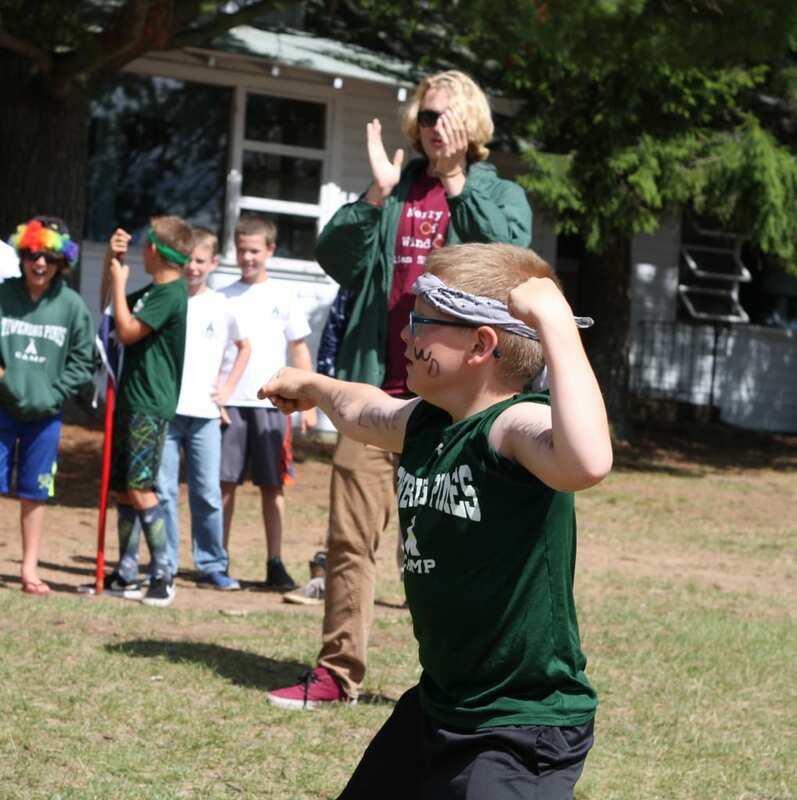 Last week, we held our annual Adventure Day. This is a day when we take the afternoon and go on a unique adventure activity, whether it’s trying our boots at English style riding at Camp Woodland, kayaking across Lake Nokomis, or an excursion to Bond Falls State Park. 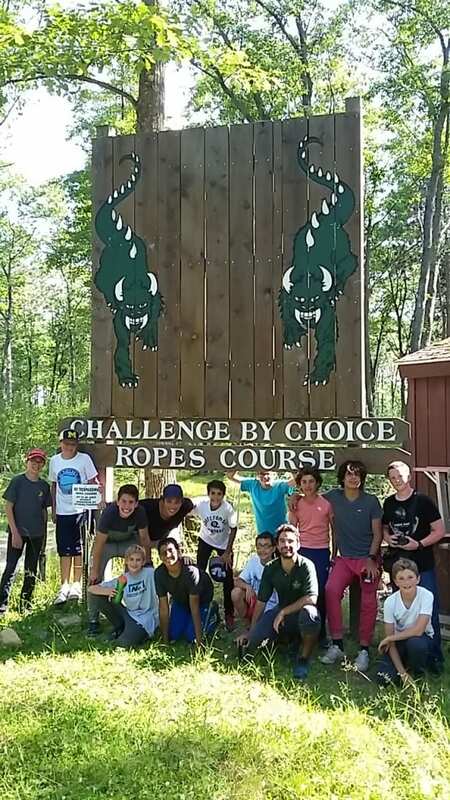 I went along with some of our older campers to the ropes course at the Rhinelander School District outdoor classroom. We worked through a lot of activities there that made me think carefully about trust and what it means to be a good sport. Most of the activities at the ropes course require trust and communication. You need to trust the person belaying you, you need to trust your group when trying to accomplish a common objective, and you need to trust yourself and your body to be able to do the things you want to do. If trust is achieved, the group isable to participate in more and more exciting activities. Trust is essential to participation in the ropes course, which means the guys need to have faith in each other. But sometimes trust needs to be refined and cultivated through repetition and teamwork. This is part of the reason the ropes course is a full-day affair. In the morning the boys play teambuilding games before moving on to the high elements in the afternoon. Trust is learned and performed. It is described with words, but must be demonstrated through action. Sportsmanship is one way of demonstrating trust. 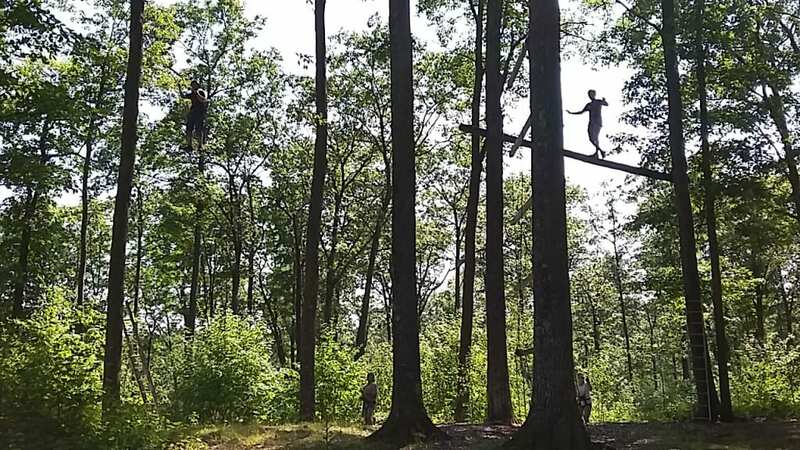 I had the opportunity to watch some of those same boys applying the tenets of the ropes course to a soccer game at our first competition with Red Arrow Camp for boys. They encouraged each other and worked together and when they made mistakes they apologized to their teammates and the opposition. I take this as a sign that our guys are upholding the values of sportsmanship (more so than in the ‘90s when I grew up!). A soccer game is an agreement, a micro-society. We all exist in competition with each other, but we can respect not only our common goals, but the skills and techniques required to reach for those goals. I was impressed by both teams and the grace with which RAC hosted our TP boys. Even though they lost, they offered up a “5, 6, 7, 8, who do we appreciate? Towering Pines!” at the end. Maybe sports are just a great time and place to perform those values of trust and sportsmanship. Since they are performative, it would make sense that these events of skill and trust are the perfect place to show them! I’m proud of our campers, and these little adventures are where I see that our system works. It creates a community that they can be a part of and take pride in. Although assuming the worst about others may come naturally to humans, they can also be taught to look for the best in each other. That is what camp excels at, and these boys are taking to it. They may still occasionally have some bad things to say about each other, but I think Buck would appreciate their effort. If he didn’t…well, he’d find something nice to say about them anyway.